A crown (cap) is typically done when there has been extensive destruction of tooth structure above the gum line. It is a long lasting restoration and if strength is important to the patient, it can be stronger than the original tooth. I have noticed that some of my patients think that since when a crown is done, very little or no original tooth structure is visible above the gum line, there is no chance of tooth decay on that tooth. A crown is connected to a natural tooth underneath it. Because of this, decay can form around the edges of a crown. The only way to permanently fix a crown with decay around the edges is to remove the old crown, remove the decay, and do a new crown. The easiest way to avoid having a crown get decay underneath it is to pay special attention at home to the margins (edges) of the crown where it attaches to the tooth. Brush and floss are mandatory for long life of a crown. As well, special cleaning tools may be needed. Ask your dentist or dental hygienist about what is needed to keep your crowns clean. Eventually a crown will wear out. With meticulous cleaning at home, this will be many years after it is placed. 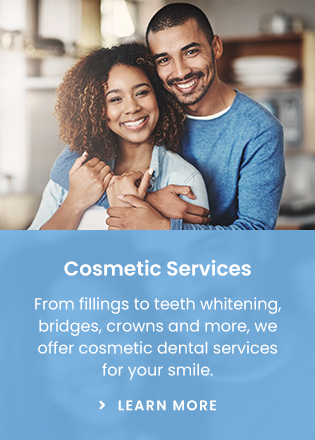 For white crowns, the typical reason replacement is necessary is that the shade (colour) of the crown and the surrounding teeth over time are not the same. As well, the margin (edge) often can be seen as the gums recede little by little. In short, the crown becomes unsightly. Another reason a crown can wear out is because of porcelain fracture. People who grind their teeth at night are much more susceptible to this kind of crown failure. If you have white crowns and grind your teeth at night, ask your dentist about what can be done to avoid fracture. Another reason a crown can fail is because of tooth decay at the margin (edge). Of course, it is not the crown that gets the decay, but the tooth. When this happens, the decay quickly spreads underneath the crown. Usually there is metal underneath the porcelain or the crown is made entirely of metal. This metal makes it impossible for the tooth structure inside of the crown to be seen on a radiograph (x ray). When decay under a crown is small, it is often difficult to detect. On a radiograph (x ray), the x ray beam would have to be placed at precisely the right angle to see the decay. If your dentist has told you that a radiograph shows decay under a crown and you would like a second opinion, it is imperative that the radiograph the first dentist did is seen by the dentist providing the second opinion. If the decay is small and the second dentist is not given the opportunity to see the radiograph that shows the decay, the slightest change in positioning of the x ray head or sensor (or film) when doing a new radiograph will not show the decayed area because it will be hidden by the metal in the crown. Depending on the size of the tooth involved, there can be precious little tooth structure left under the crown before the pulp (nerve) is destroyed by the decay. If this happens, a new crown will not fix the tooth. Under these circumstances, a root canal will be needed along with a new crown—assuming the tooth is able to be saved at all. Additionally, a new crown on a tooth that has already had a crown will without question be much more difficult to do than the first crown. This is because the margins (edges of the crown) will need to be deeper to cover up the area where the decay had to be removed after the old crown was taken off. Sometimes the technical challenges are significant enough that a crown specialist (prosthodontist) will be needed. If this is the case, your dentist will refer you to the specialist. In conclusion, crowns are long lasting. However, just like anything else made by people, they will eventually wear out. Decay under a crown is a common way that a crown eventually fails. Early detection of decay at the edges of a crown reduces the amount of destruction of tooth caused by decay. A high degree of diagnostic skill is needed to detect early decay on the margins (edges) of a crown. Timely replacement is needed in order to avoid a root canal, or even to retain the tooth when decay is detected under an existing crown. Ask your dentist how you can maintain your crowns for the longest time possible.